Single Harnesses for the Flip N Tuck STP. Please allow 7-10 business days for processing. 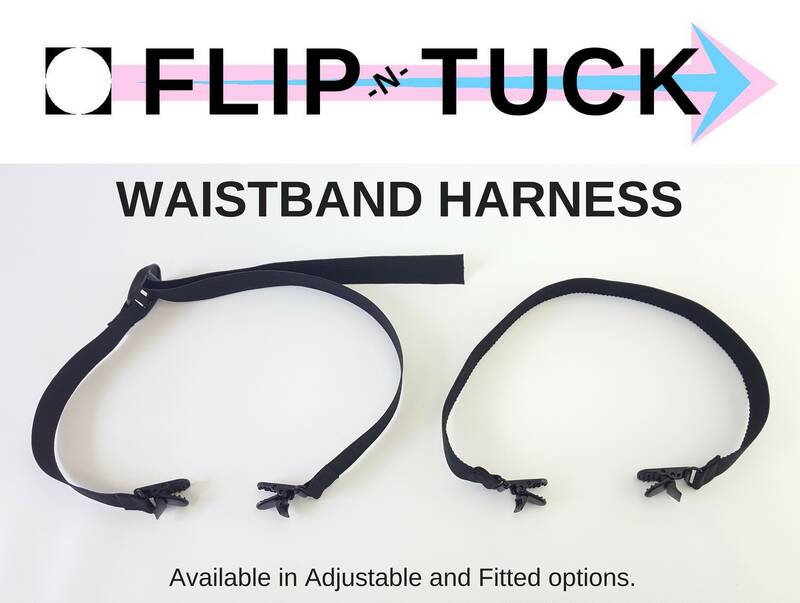 The Flip N Tuck comes with one harness, but you can buy more. The harness is available in both adjustable elastic or fitted. The adjustable harness costs and additional $4. The elastic is 1 inch wide for both styles. The adjustable elastic is smooth on both sides while the inside of the fitted waistband has a softer plush finish. Fitted waistband sizes are measured before stretching: It is recommended to measure on the smaller side in order to take the elastic stretch into account.